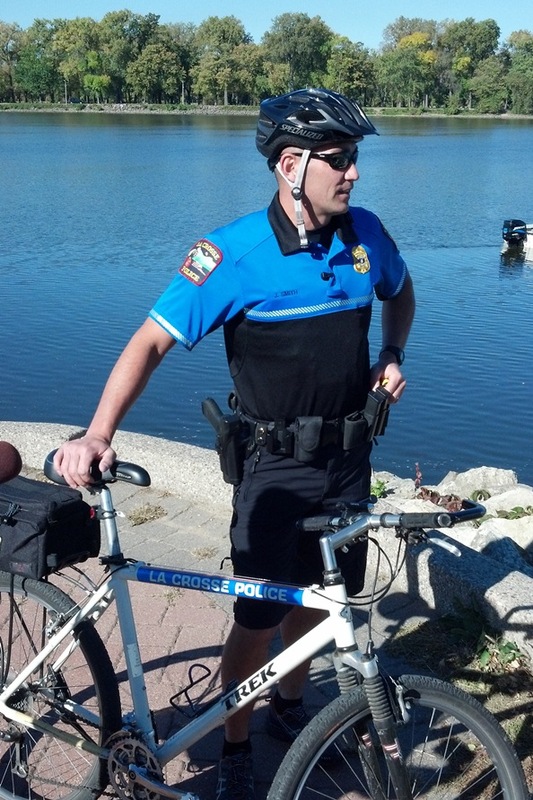 Recently, the La Crosse Police Department has been awarded two Department of Transportation grants to place additional patrols in the community to focus on Bicycle and Pedestrian laws and safety. The goals for these grants are to reduce traffic related injuries and death; to gain voluntary compliance with existing laws and ordinances; and improve the safety and coexistence of all modes of transportation. We will be using several officers at peak times and locations to enforce pedestrian, bicycle and traffic laws. Some of that enforcement will include bicycle patrol, foot patrol, pedestrian, and traffic enforcement with both uniformed officers and plain clothes officers. The goal of the project is to educate the community on the existing laws and ordinances to pedestrian, bicycle and traffic laws. Pedestrians suddenly moving into roadway (failing to yield to vehicle). Pedestrian interfering with vehicles at controlled intersection (when crossing on red signal). Vehicle failure to yield right-of-way. Vehicle turning right on red light in front of pedestrian. Vehicle failing to yield to pedestrian when entering roadway from alley or driveway. Bicyclists and pedestrians shall obey traffic control devices – traffic lights, signs, and symbols. Motorists shall yield to a pedestrians and bicyclist crossing within a crosswalk area. Bicyclists must yield the right of way to any pedestrian on a sidewalk/bicycle path and shall give an audible signal when passing such pedestrian. Additional information on these regulations and others can be found by reviewing Chapter 9 of the Municipal codes (click here) or Chapter 346 of Wisconsin State Statutes. Although it is not a law or ordinance, wearing a helmet while riding your bicycle can prevent death or greatly reduce any injuries incurred if involved in an accident.